There are so many paid advertisements saturating websites and social media platforms that they are making users “immune” to their messages. Scrolling through social media, users recognize paid ads and largely decide to ignore them. 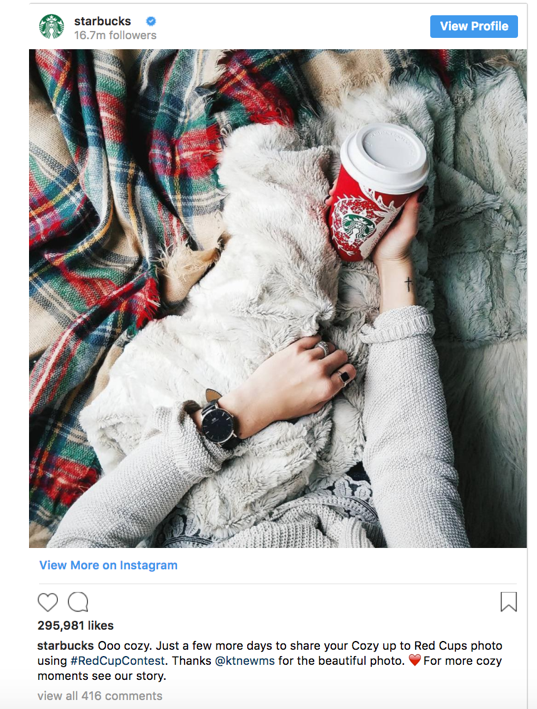 On the contrast, user-generated content (UGC) is refreshing, and it beats stock photos and cookie cutter ads users see online. Although they might also be part of an advertisement, they inherently give the impression that they are just organic content. Most importantly, they look like a genuine review. It encourages users to consider trying the product and makes them intrigued. After all, if so many people like a particular product, there must be something good about it, right? Here, we’ll discuss different ways to incorporate user-generated content to your advantage. Let’s begin! Prior to a product launch, the UGC builds expectation. Share your product before it drops on your site with a few selective influencers who can take pictures interacting with it. Encourage other users to generate content by creating a contest. The winner with the best photo can receive a special prize of more merchandise or a cash bonus. Use a special hashtag. It will help consumers discover other UGC and post new photos that can enrich the message. What better way to showcase your brand values and beliefs than by showing them in action rather than just words? Aerie did just that by launching a very popular UGC campaign promoting self-love body images. They asked their followers to upload photos without filters and pledged to only release unaltered photos. 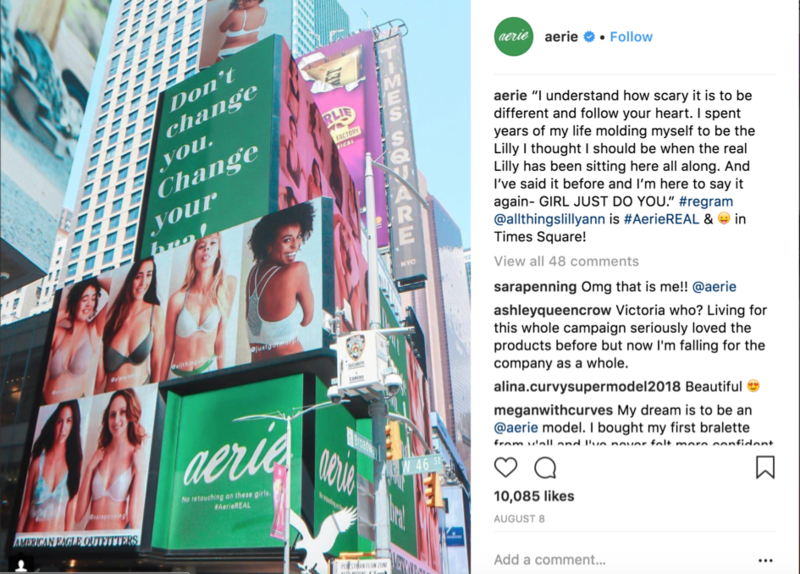 This was part of their #AerieREAL campaign, which promoted body positivity through personalized messages and images that hadn’t been retouched. People loved the concept and rallied to support the brand, which resulted in a 20 percent increase in their sales. People connect with companies that share the same values, creating a strong bond through brand loyalty. You don’t have to go to this extreme to create a great campaign. Any belief that helps you connect with your audience will suffice. Whether you’re using organic materials, believe in women empowerment or simply believe your product can make someone else smile, you can create a campaign around it. As mentioned before, make sure to tie your campaign with a special hashtag that users can easily follow online. Needless to say, these types of campaigns create great engagement in the form of likes, reposts and comments on social media. It’s a great way to connect with your followers and make them know that you share their values. As humans, we all want to be part of the group and don’t want to get left behind. So, when we see others take action either by liking, commenting or buying a product, we want to be part of that community. That’s how social proof works; it encourages people to buy products that have positive reviews and testimonials. User-generated content creates great testimonials that can be used to encourage others to make a purchase. To be most effective, it has to be showcased properly in multiple places. Besides just posting your content on social media, highlight it on strategic parts of your site. For instance, Calvin Klein has a whole page dedicated to the #MyCalvins campaign that has garnered an incredible response with the online community. Think of it as reviews on steroids. Shoppers want to see how the product looks in real life, and not just how it looks in professionally edited pictures. If you’re using a major eCommerce platform like Shopify, you can easily install a plugin to display images like this on your eCommerce site. You are using UGC on your website, social media profile and product pages, so now it’s time to amplify its reach with social media ads. Instead of buying stock photos or displaying pictures of products alone, use your UGC to promote your brand. Make sure to get proper permission to use their content and, after that, you are free to create Facebook and Instagram ads as you please. If you have UGC from influencers, it’s even better! 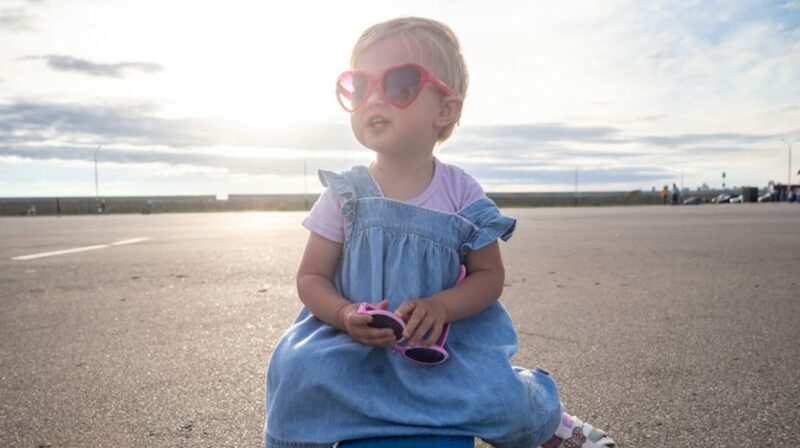 We usually like to pair this type of content with a message along the lines of “Everyone is already raving about it” or “the product that so many people love” to indicate that the photos belong to happy customers. Carousel ads work great for this purpose because you can show multiple photos or videos in one ad. You can opt to showcase different products in each slide, directed to specific product pages, or multiple slides promoting the same product. If you’re doing the latter, make sure each product has a unique link. It’s frustrating to click on a slide for a product that takes you to a category page, where the user has to navigate through multiple products to find what they are looking for. That just provides a bad user experience. Unfortunately, not everyone is going to like your product, but that’s okay. When you get a negative review, it’s time to rise to the occasion and turn that lackluster impression into your most loyal fan. When you receive negative reviews, don’t hide from them. Addressing negative reviews the right way can position your brand into a looking like a superhero. When addressing negative reviews, look out for repeating feedback. 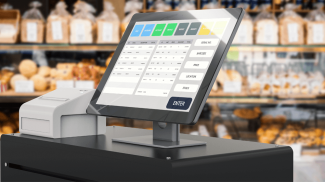 If many customers are complaining about the same issues, you may want to consider making an adjustment to your product description or offering. Take H&M as an example. 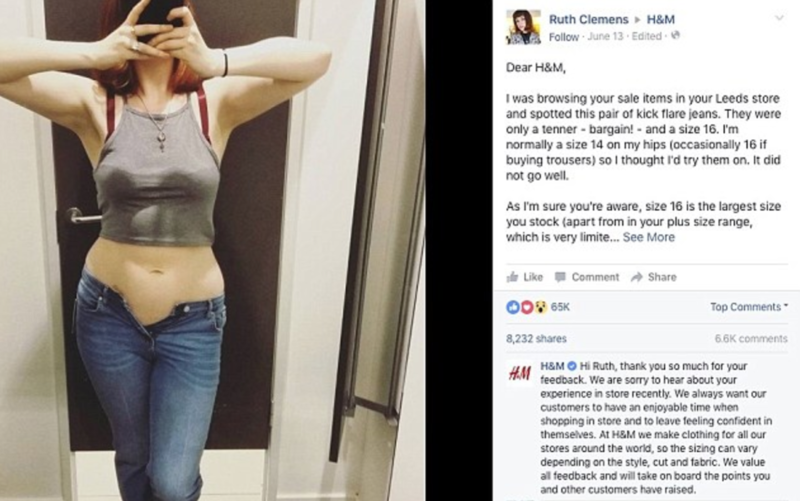 This beloved brand is known for sizing their clothing on the small side, but when a social media post from a PhD student went viral, they finally listened! Successful eCommerce businesses know that leveraging the power of user-generated content is critical to their online success. It’s one of the most effective ways to drive revenue and boost online trust and engagement with your brand. This is interesting. I have seen how user generated content can transform ecommerce websites but I did not imagine that it can have this much of an impact.